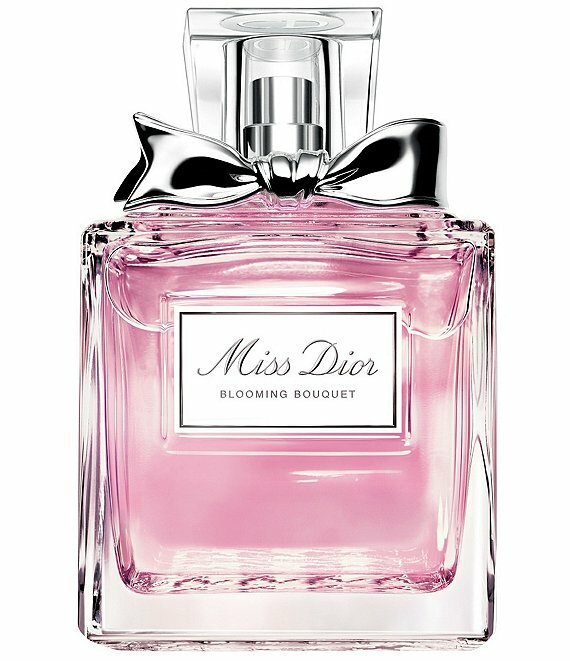 A sparkling floral, Miss Dior Blooming Bouquet is a composition fashioned like a dress embroidered with a thousand flowers. This new floral bouquet pays homage to Christian Dior's legendary passion of flowers. It glorifies the mandarin and the peony on downy notes of white musk. The peony is at the heart of this new signature. Its unique trail combines the rose Damascus essence with fruity notes to recreate the outstanding scent of this flower, elusive in its natural state. Top Notes: Italian Mandarin Essence - All of the countries in the Mediterranean basin cultivate the mandarin tree, but it is in Sicily that the finest fruit is produced. There are several varieties of mandarin: yellow, green and red, all of which correspond to different degrees of ripeness of the fruit. Mandarin essence is a citrus note with a fresh, fruity quality. Heart Notes: Peony - Widely used in perfumery, peony is a voluminous, round, red and white flower. Its floral, green and fruity fragrance resembles rose and lily of the valley with its light, vegetable tones. Peony brings calm, light accords to the heart note of Miss Dior. Base Notes: White Musk - This note produces a cottony, slightly powdery effect that smoothes the skin and seems to wrap it in softness.